They’re watching you. They see the way you clutch your blanket. They smell the sweat trickling down your back. They hear the fear pulsing through your veins…and they love it. This is a collection of stories about what really hides beneath your bed, watching, waiting, listening to every breath you take. It’s about the creatures that come out to play on the full moon, and the things that wake at the devil’s hour. Are you ready to find out what really goes bump in the night? The true reason behind your midnight tremors? 13 is back—and it’s brought Night Terrors. Mother of two, caffeine addict, sleep deprived book eater. Kristin Jacques writes primarily speculative fiction, dabbling with dark adventures, monsters, mayhem, and the occasional sarcastic zombie. When not at her computer spinning tales she is generally herding cats or snuggling with her gremlins. D.A. Roach is a YA/NA writer who enjoys the challenge of crafting stories in different genres. When she’s not writing, she enjoys going to rock concerts, hockey games, horror movies and gardening. Samie Sands is the author of the AM13 Outbreak series – Lockdown, Forgotten and Extinct. She’s also had a number of short stories published in very successful short story anthologies. To find out more about Samie and her work, check out her website at http://samiesands.com/. ERIN LEE is a freelance writer and therapist living with her family in southern New Hampshire. She is the author of Crazy Like Me, a novel published in 2015 by Savant Books and Publications, LLC. She is also author of Wave to Papa, 2015, Nine Lives, 2016, and Alters, 2016 with Limitless Publishing. She authored Losing Faith with Black Rose Writing. Other titles include Host, Merge, Her Name Was Sam, Take Me As I Am, 99 Bottles, The Morning After and award-winning When I’m Dead. In her free time, she works on her upcoming releases, Just Things, a novel built on the life of Jimmie Putnam as seen here in her story, “Jimmie’s Freezers,” (The trouble with) Butterfly Kisses, From Russia, With Love, and Between the Cushions: A poetry collection. ELIZABETH RODERICK grew up as a barefoot ruffian on a fruit orchard near Yakima, in the eastern part of Washington State. After weathering the grunge revolution and devolution in Olympia, Washington, Portland, Oregon and Seattle, she recently moved to a small cluster of houses amidst the vineyards of California’s Central Coast. She earned a bachelor’s degree in Spanish from The Evergreen State College in Olympia, Washington, and worked for many years as a paralegal and translator. She is a musician and songwriter, and has played in many bands, rocking some instruments she doesn’t even know the real names for, but mostly guitar, bass and keyboards. Elizabeth writes novels for young adults and adults; short stories; and memoir which is way more interesting than it should be. 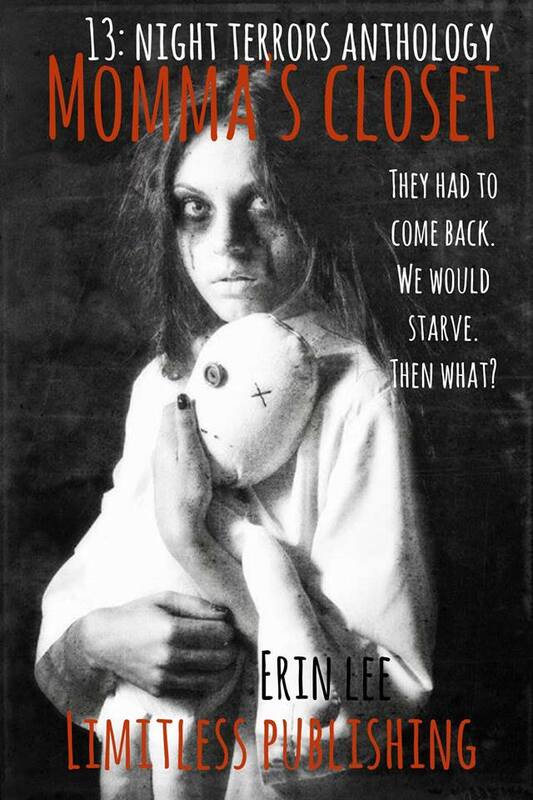 Her stories are about love, death, gang warfare, and madness; her characters tend to be of the type that society generally shuns: addicts, convicts, and the mentally ill. She believes if people get to know these characters in stories and in real life, they’ll find them more likeable than they originally thought. She applies Hunter S. Thompson’s Gonzo method to fiction writing. It often gets a little heavier than what she had in mind, but she chalks it up to forced consciousness expansion. Sara currently a Biology Major with a minor in Environmental Science and another in Spanish at James Madison University, and spends her time writing, studying, and ghost hunting. While writing is a great hobby that turned into a passion to share with others, school is her priority. Taylor Henderson is a psychology major at the University of Mary Washington. She was born and raised in Northern Virginia and has been an adamant reader and writer since she was young. Taylor plans to continue writing, and hopes to continue to expand to different genres in the future. She is working on more books and stories in the dark side, including her own twist on Nursery Rhymes. Marissa Farrar is a British author of more than twenty-five novels of a number of different genres. One thing her books all have in common is that they’re guaranteed to be dark, fast-paced, and filled with suspense. Jennifer Loring’s short fiction has been widely published in magazines, webzines, and anthologies, including DarkFuse Magazine and Crystal Lake Publishing’s Tales from the Lake. Longer work includes novels and novellas in both the horror and romance genres. Jenn is a member of the International Thriller Writers and holds an MFA in Writing Popular Fiction from Seton Hill University. She lives in Philadelphia, PA, with her husband, their turtle, and two basset hounds. When not writing, Jenn is usually reading, watching horror movies, listening to music, or baking. My name is Joshua Macmillan, I am an author of horror and dark fiction. 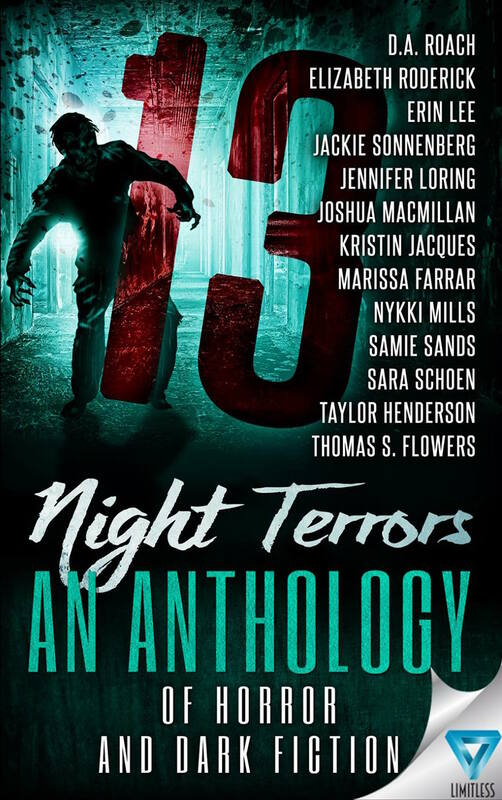 My first publication is a short story within the 13:Night Terrors anthology published by Limitless Publishing! I am currently working on my first novel and plan to have as many short stories published as possible while I work on the novel! I look forward to hearing from you guys! You can find me on facebook and Twitter, as well as email me! Nykki was born and raised (mostly) in a cow town in Tulare county, CA. She moved with her mother to UT at 16. This is where she met her future husband and father to their three adorable children. They now live in the beautiful state of MT, exploring the wilderness one weekend at a time.Growing up her nose was always in a book, having read nearly every VC. Andrews book by the age of twelve. It wasn’t until 2011 that she discovered her passion for writing. Her debut novel SACRIFICED is available now on Amazon! It is a YA paranormal with horror elements. She also writes fantasy, sometimes with a little sci-fi elements spun through.